Abstract : A method for interpolating monotone increasing 2D scalar data with a monotone piecewise cubic C$^1$-continuous surface is presented. Monotonicity is a sufficient condition for a function to be free of critical points inside its domain. The standard axial monotonicity for tensor-product surfaces is however too restrictive. We therefore introduce a more relaxed monotonicity constraint. We derive sufficient conditions on the partial derivatives of the interpolating function to ensure its monotonicity. 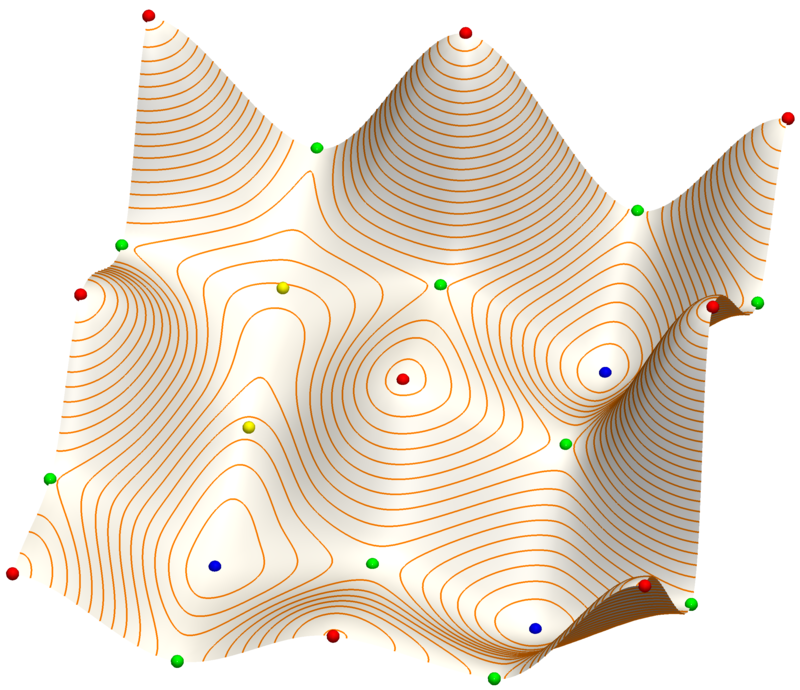 We then develop two algorithms to effectively construct a monotone C$^1$ surface composed of cubic triangular Bézier surfaces interpolating a monotone gridded data set. 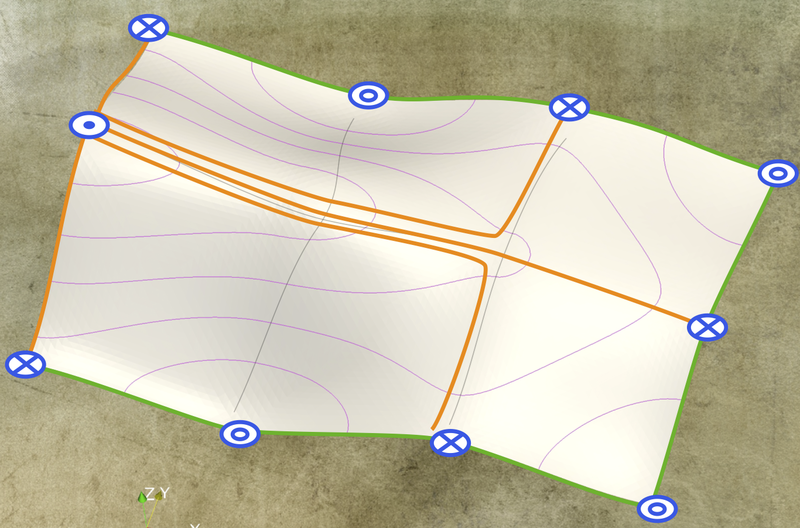 Our method enables to interpolate given topological data such as minima, maxima and saddle points at the corners of a rectangular domain without adding spurious extrema inside the function domain. Numerical examples are given to illustrate the performance of the algorithm.